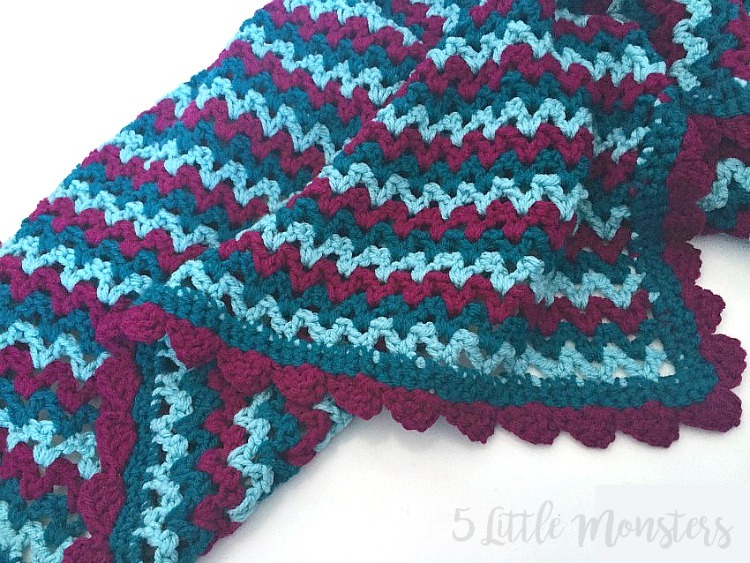 Looking for an Easy Crochet Baby Blanket tutorial? This one is really easy, kind of a mindless pattern, that works up really quick. It is made with using the v-stitch. 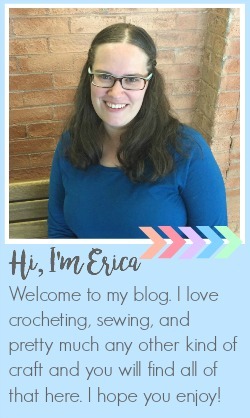 I originally shared it a few years ago on Craftaholics Anonymous and I thought it was about time I shared it here too. Another year is over which means it is time for my yearly top ten post. Each year I like to go back and look over the projects I have shared over the past year and see which were the most popular posts. 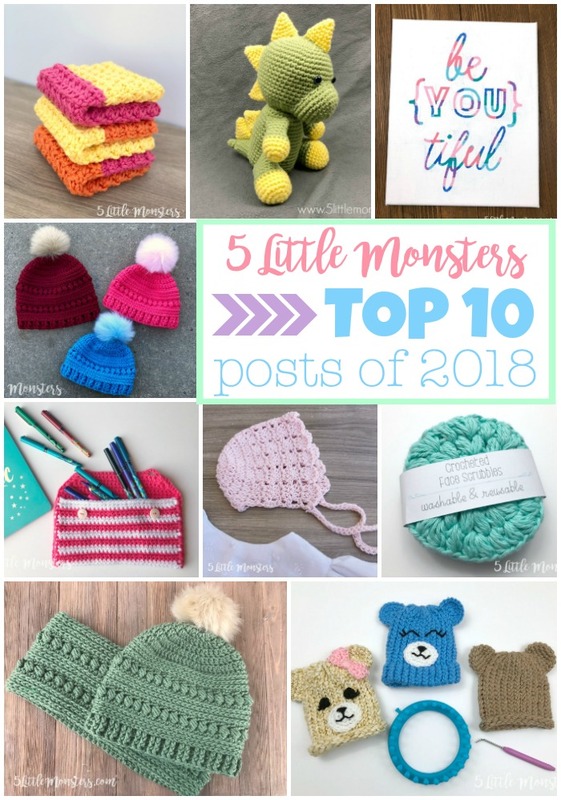 These are the top ten most popular posts that I published in 2018, it doesn't include popular patterns from years past. I also am only including project posts, no roundups or things like that. I really enjoy going through at the end of each year to see what my top posts were that year. I will be sharing the top 10 for my blog in a couple of days, but I thought it would also be fun to get together with a bunch of other craft bloggers and share each of our top posts from this year. 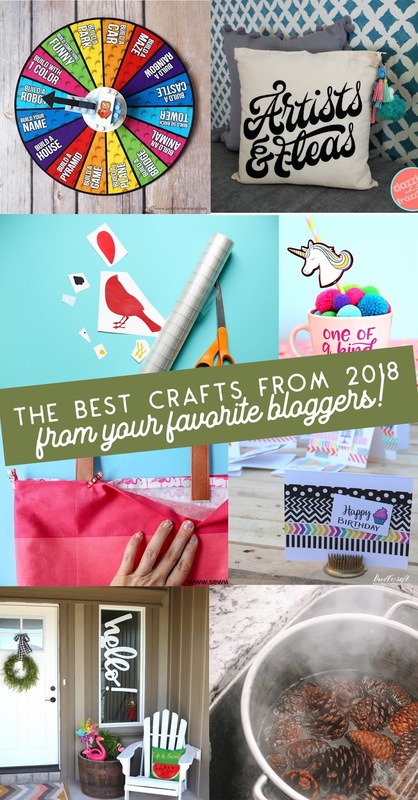 So here we have a list of the very best post of 2018 from lots of different bloggers! See if any of your favorites made the list! Over 25 of the The Best of the Best Crafts of 2018. 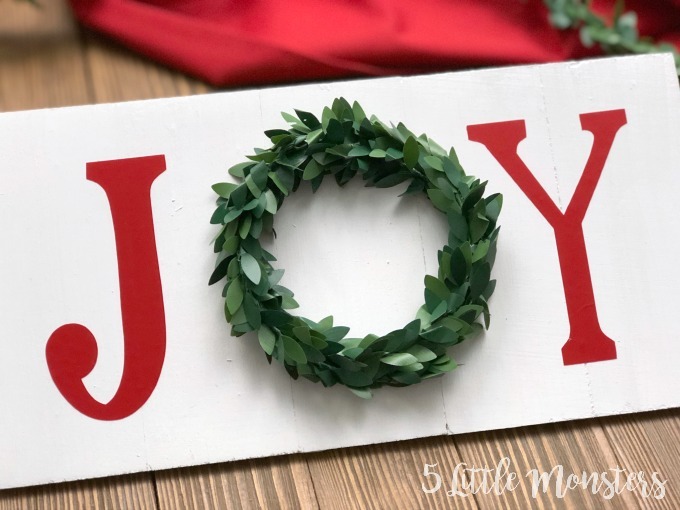 I recently shared a simple Christmas craft project over on Design Dazzle as part of their Christmas Wonderful Series and today I am going to share it here. 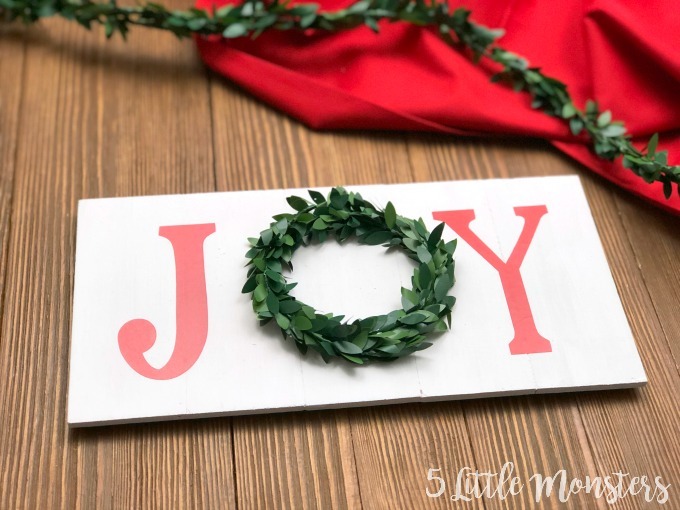 This little Joy Wreath Sign is a really quick and easy project to make, and I think it turned out pretty cute. Christmas time is one of my favorite times of the year. And since I also love making things Christmas crafting is one of my favorite things. Even better if the Christmas craft is something that doesn’t take a lot of time to make since as much as I love this time of year it can tend to get pretty busy. The longest part of making this sign is waiting for the paint to dry! It is simple enough that pretty much anyone could make it. My sign is 5" x 10" but you could easily adjust the sizes to make it bigger. 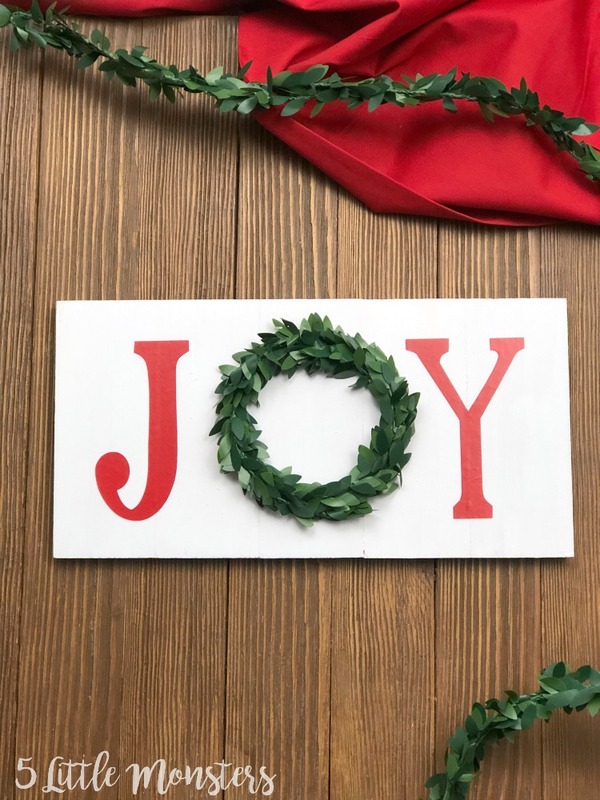 When I originally had the idea for this sign I wanted to put a small wreath in place of the O in joy, but when I started looking for small wreaths I wasn’t able to find what I was looking for. Instead, I found some mini garland that I was able to cut and twist into a wreath shape. I thought it ended up working perfectly. The sign was just a small wooden slat sign I picked up at the craft store. Then I cut the J and the Y from red vinyl and stuck them onto the sign after the paint was dry. The wreath was glued onto the sign. Paint the sign with white paint. Set aside to dry. Wrap a piece of the garland into a circle to make a wreath. I wrapped it about 3 times to get the thickness that I wanted. Clip the wire and wrap the end around to secure. Cut the J and Y out of red vinyl. 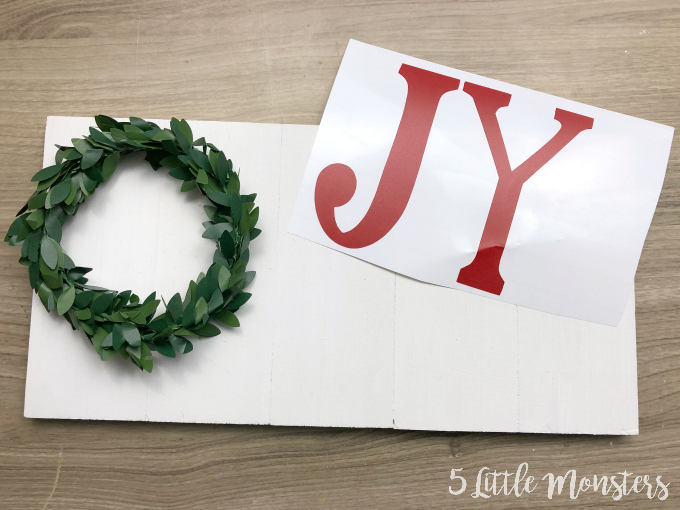 If you are using a Cricut you can use my Joy Sign Design Space File Here. 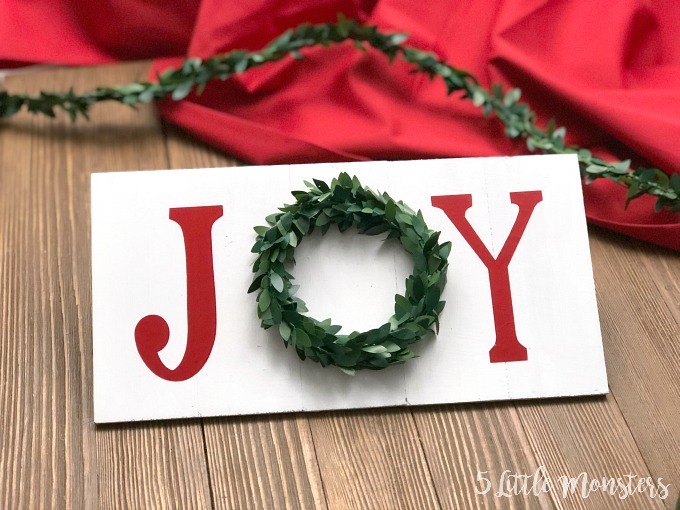 if you are using a different cutting machine or want a different font just make sure that you measure the space you have on either side when the wreath is in the middle. I cut my letters 3.5″ tall and they were around 2″ wide." Place the wreath in the center of the sign and hot glue in place. 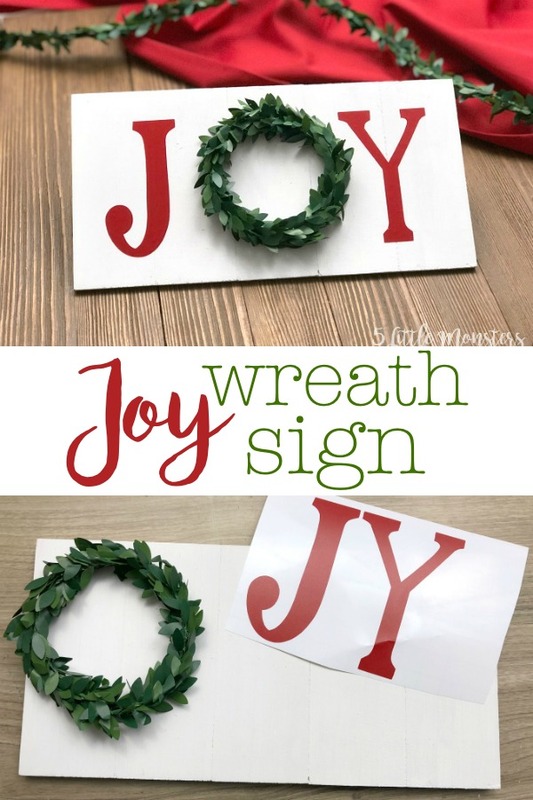 Place the vinyl letters on either side of the wreath to complete the word. 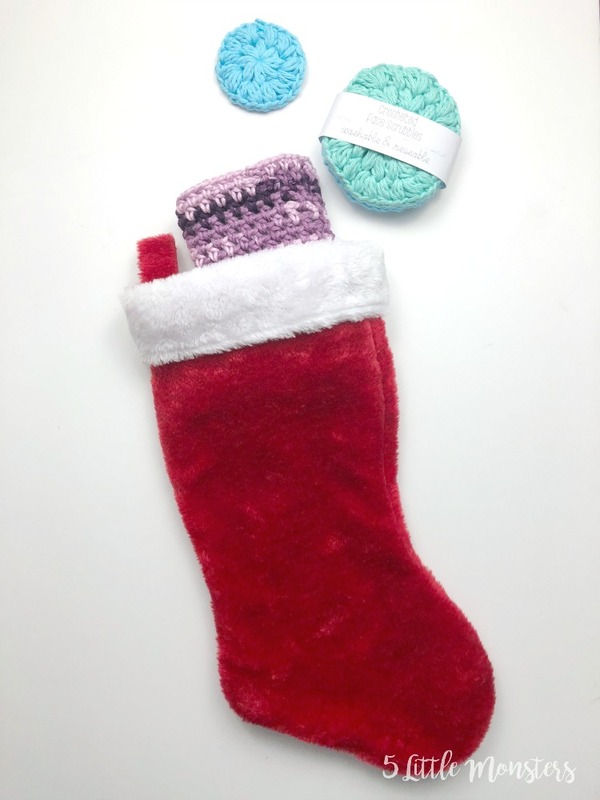 If you have been following along at all over the past couple of weeks you know that from December 1-12 I did a 12 Days of Crocheted Stocking Stuffers Series where each day I shared a small, simple project that could be used as a stocking stuffer. None of them were really Christmasy at all so they could be used anytime you need a small project but they all fit in a stocking. Day 12, the last day. 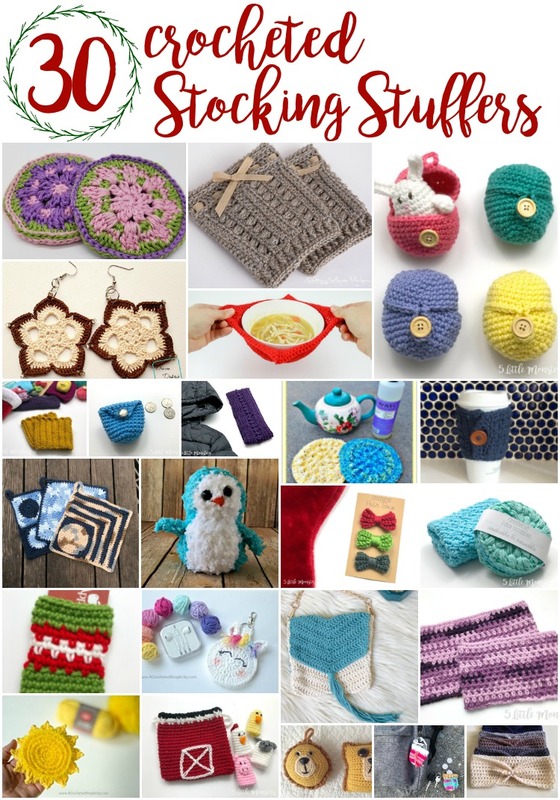 12 days of quick and easy small crochet projects, I hope over the past 12 days you have found some ideas you can use. 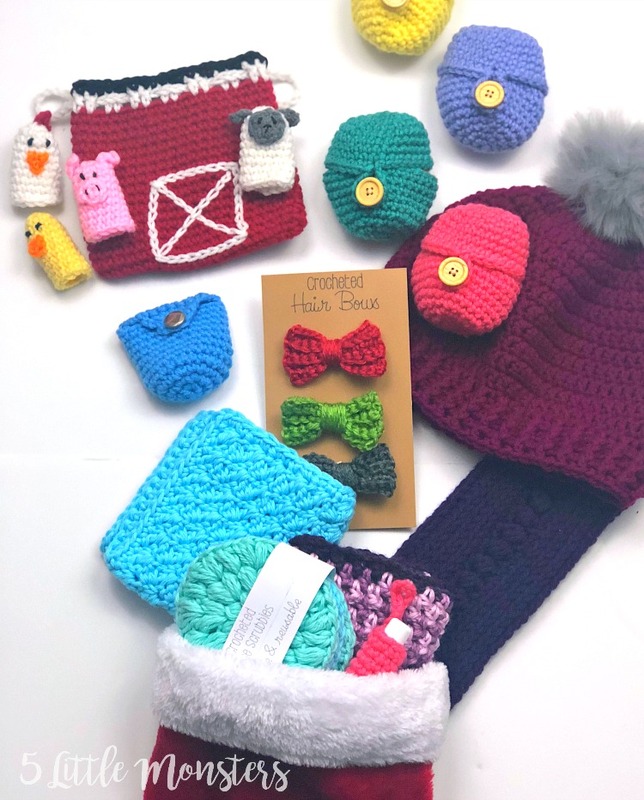 Whether it be for gifts, stocking stuffers, craft fairs, or whatever else you may use them for. 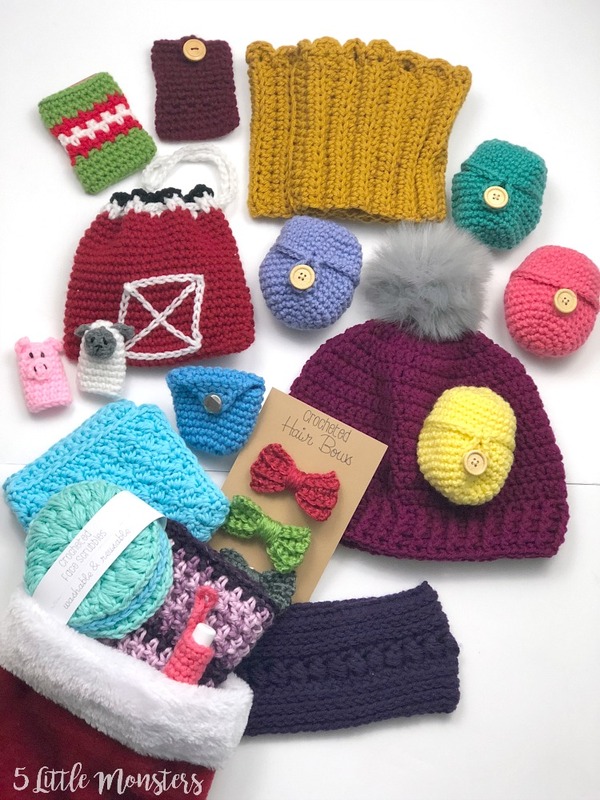 It has been kind of fun to make lots of small projects that were quick finishes and that I could make with yarn I had in my stash. Today is day 11, only one more day to go. 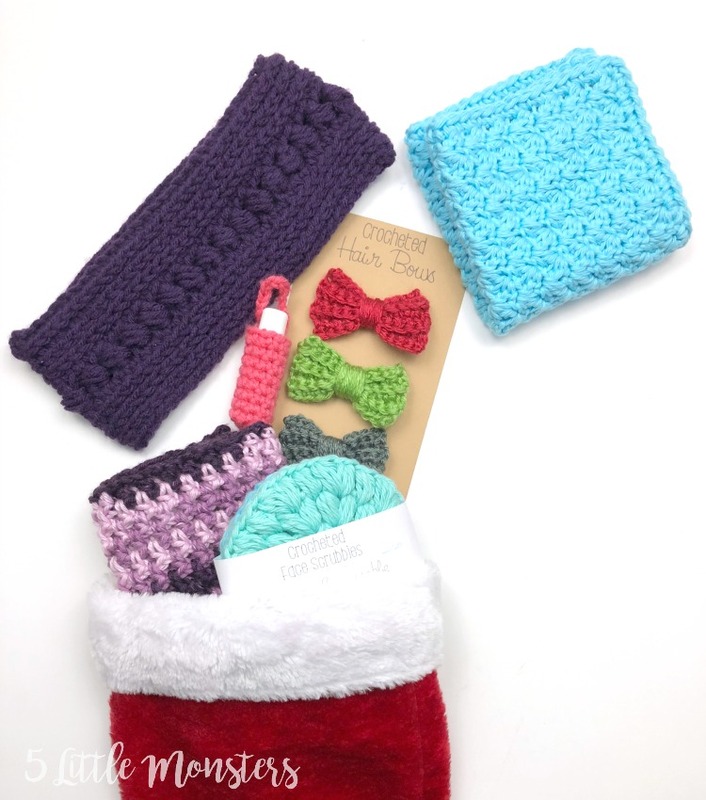 Tomorrow will complete the 12 Days of Crocheted Stocking Stuffers. Hopefully these quick, small projects have given you ideas to make to fill stockings or give as gifts. 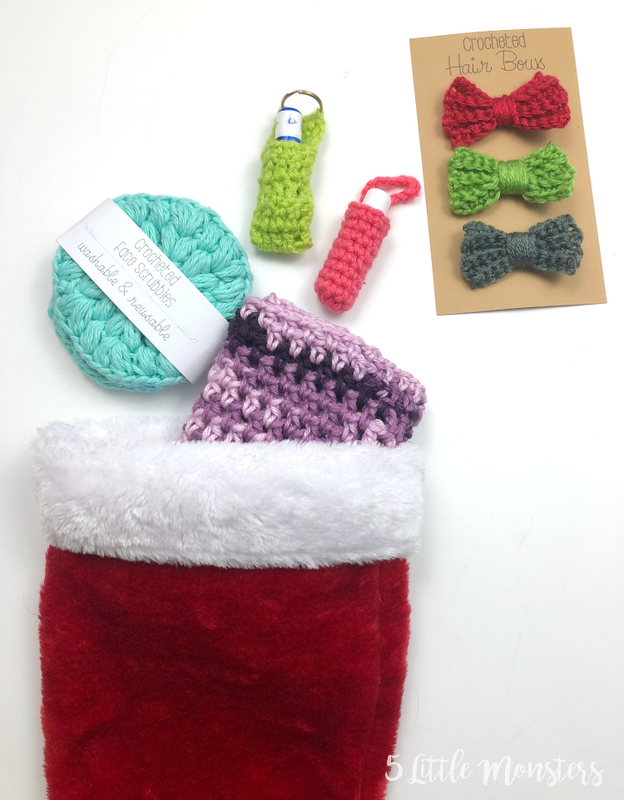 Day 10, only a couple of days left to go in the 12 Days of Crocheted Stocking Stuffers Series. Hopefully you have enjoy the projects so far and they have given you some good stocking stuffer ideas. Day 9 and today's project is a super simple and quick project, a little coin purse. It only uses a tiny amount of yarn so it is a great project for using up scraps. Today is day 8, 2/3 of the way through. Today's project was inspired by my kids. My kids are obsessed with blind bags, surprise eggs, or whatever else you call those little toys that you don't know what you are getting until you open it. So for this project I made a crocheted version of those toys. 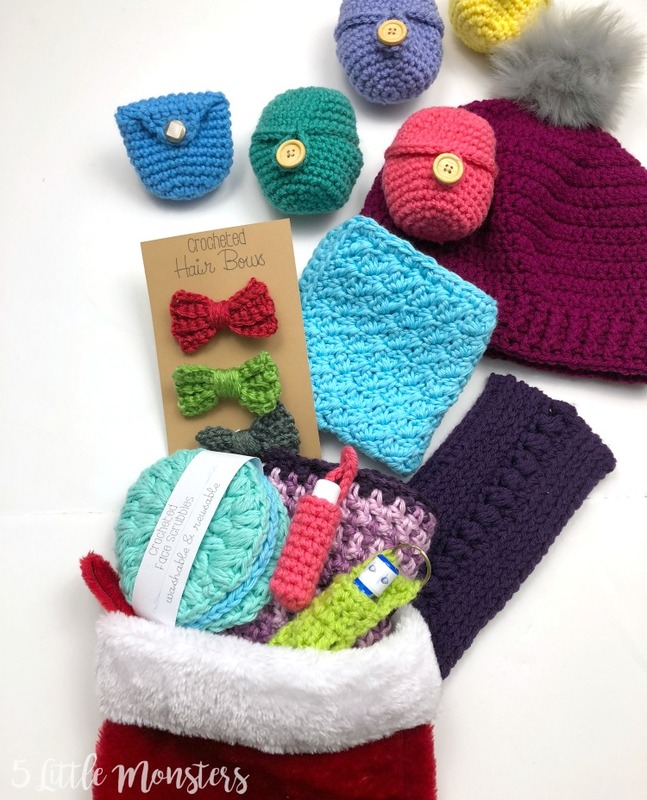 It is Day 7 of the 12 Days of Crocheted Stocking Stuffers and today is hat day. I chose a really basic hat pattern to kind of stick with the quick and easy theme. 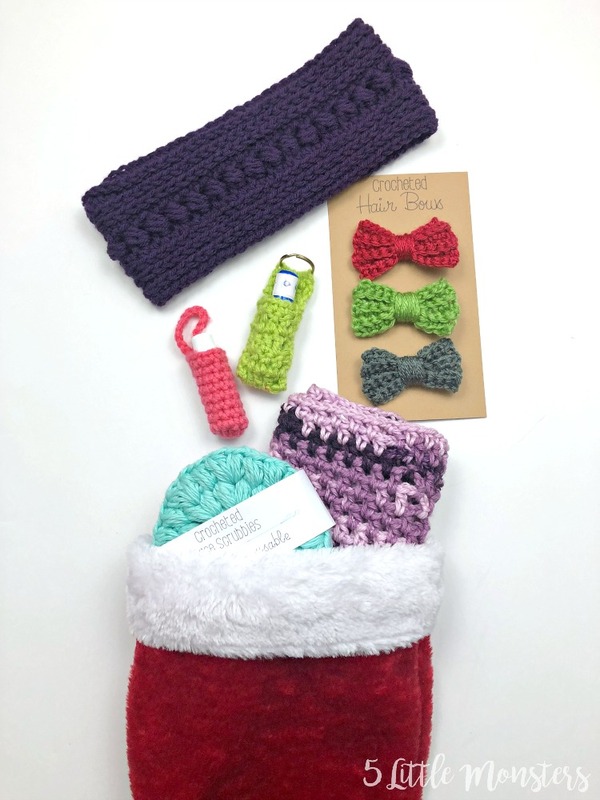 Day 6, we are halfway through the 12 Days of Crocheted Stocking Stuffers. Today's project is a washcloth which kind of goes along with the Face Scrubbies from Day 2. Washcloths are one of my favorite quick crochet projects. It is Day 5 and for today's project I made a headband or ear warmer. 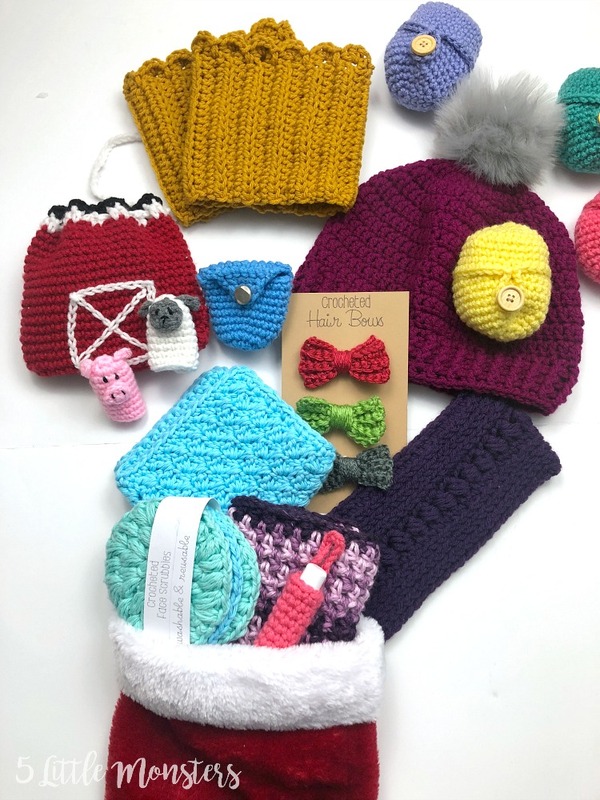 Quicker than making a whole hat but still great for staying warm in winter weather, this makes a great stocking stuffer. 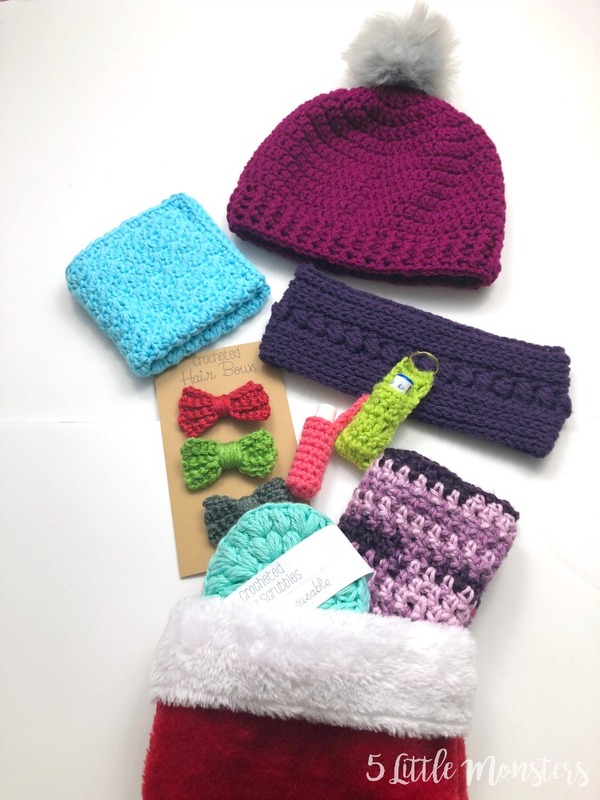 It is Day 4 of the 12 Days of Crocheted Stocking Stuffers, and today's project is for the little girls in your life. This is another really quick project that is great for using up scraps of yarn. 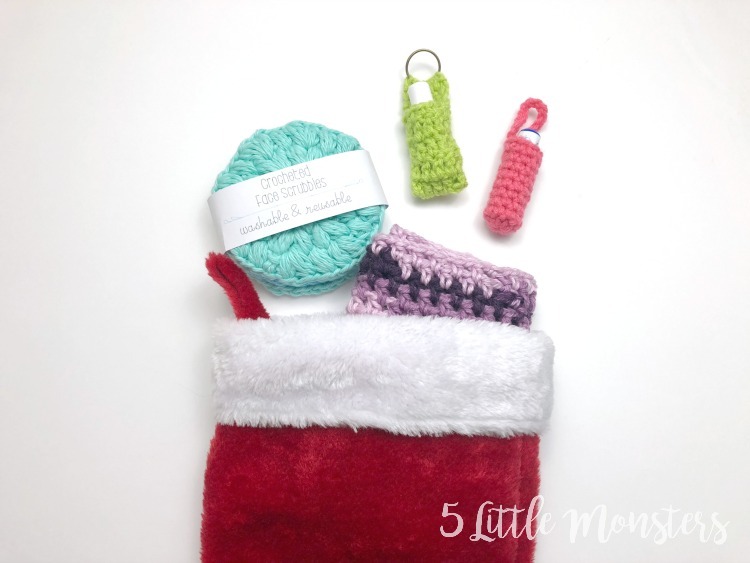 It is the third day of the 12 Days of Crocheted Stocking Stuffers, and today's project is one of the quickest and easiest of all. If you missed the first 2 days you can find them here: DAY 1 Crocheted Cowl, DAY 2 Face Scrubbies. 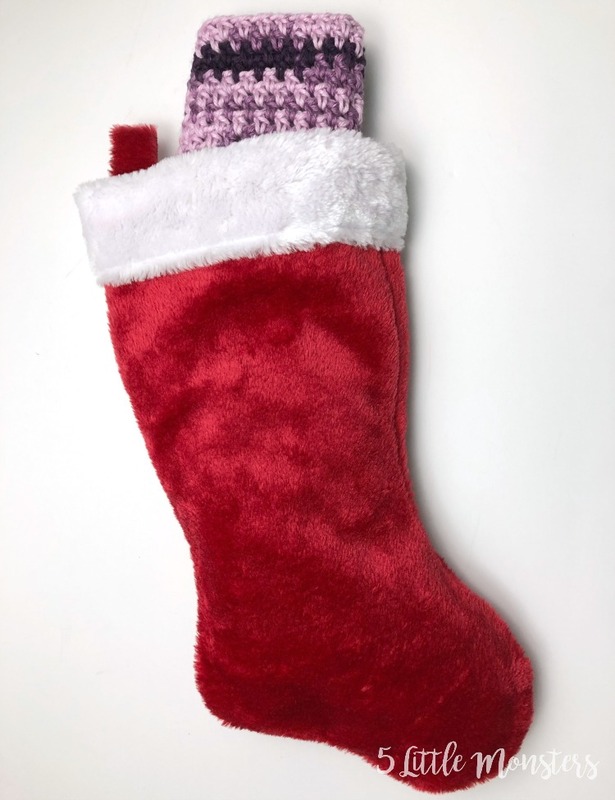 It is the second day of the 12 Days of Crocheted Stocking Stuffers, 12 days where I will be sharing a new free crochet pattern every day for a small project that will fit in a stocking. The project for Day 2 is a set of puff stitch face scrubbies. If you missed Day 1 yesterday you can find the Quick & Easy Cowl HERE. 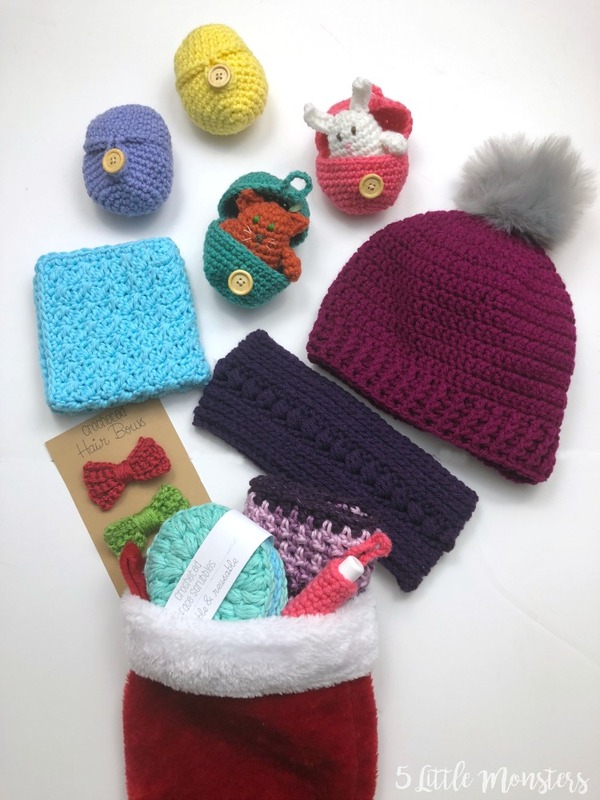 If you follow me on Instagram or Facebook you may have seen me post about the 12 Days of Crocheted Stocking Stuffers Series that I have planned. Starting today, Dec 1, I will be posting one new free crochet pattern each day for the next 12 days.